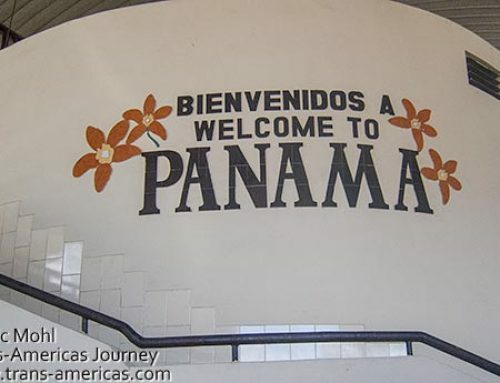 Spotting critters is a big goal and a definite highlight of our Trans-Americas Journey and we’ve had some amazing wild animal encounters as we’ve traveled through the Americas. 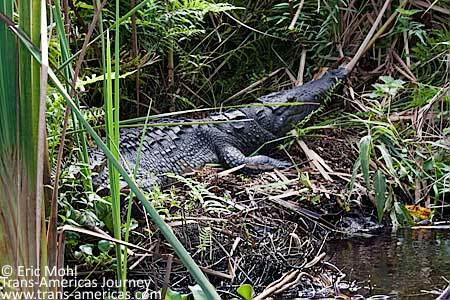 Back in 2010 we put together a list of our top wild animal encounters to that point which included grizzlies in Alaska, scarlet macaws in Mexico, and (almost wild) jaguars in Belize. 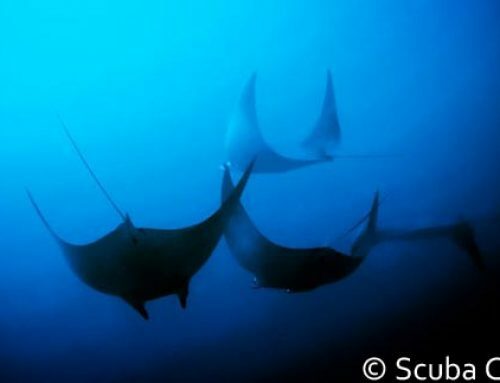 This updated list now includes whale sharks, resplendent quetzal birds, hammerhead sharks, turtles, and so much more. 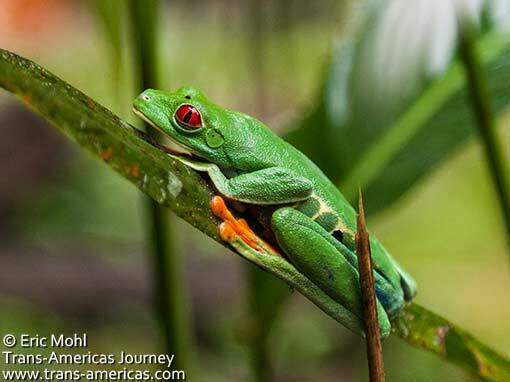 One of many red-eyed tree frogs that stared us down in Costa Rica. See more of this adorable little guy, and his other rain forest friends, in our post from Rainforest Adventures in Costa Rica. Hammerheads were just the beginning of our underwater wild animal encounters. 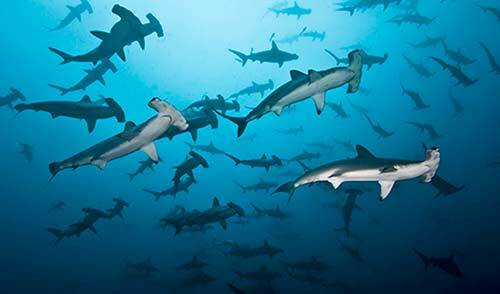 Get the full sharky story in our Cocos Island post. 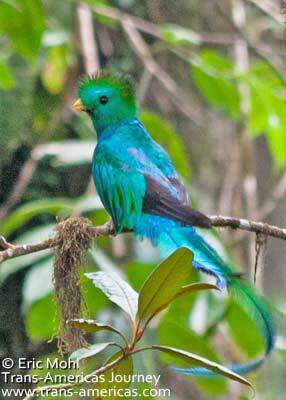 This male quetzal emerged from its nest and posed for us in the Chelemhá Cloud Forest Reserve in Guatemala. Learn how you can visit this wonderful protected forest and lodge and bag your own quetzal sighting in our post from Chelemhá Cloud Forest Reserve in Guatemala. 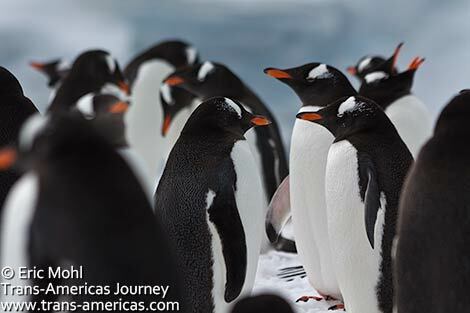 Gentoo penguins proved they are even more adorable in person when we visited Antarctica. We also sighted killer whales, chin strap penguins, and crabeater seals in Antarctica. See them all in our photo-filled posts from Antarctica. More whale shark details, including how to make sure sea sickness doesn’t ruin your encounter, are in our post about snorkeling with whale sharks near Cancun. A herd of buffalo literally roamed through our campground in Badlands National Park. 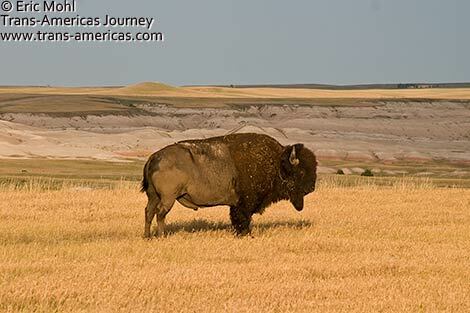 Find out which campground and more in our Badlands National Park post. We held life in the palms of our hands when we helped release baby olive ridley turtles near Barra de Santiago in El Salvador. 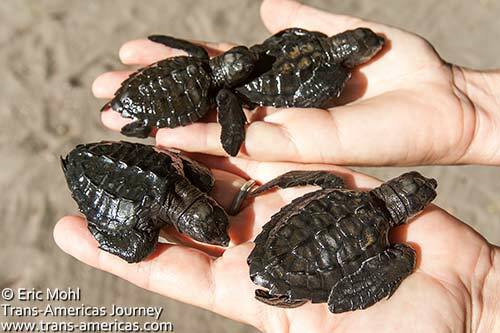 Watch these hatchlings scramble to the sea in our post from Barra de Santiago, El Slavador. 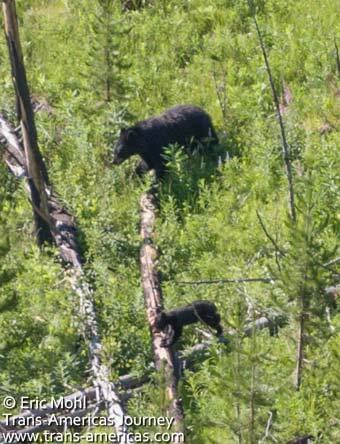 A black bear and her cub explored downed trees in Yellowstone National Park. See more bears and learn about the park’s wolf population too in our Yellowstone National Park post. Hungry hummingbirds barely noticed we were there on a porch in Guatemala. 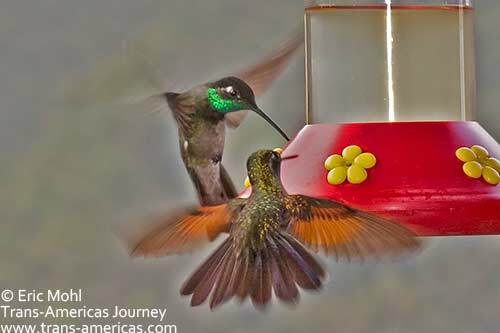 More amazing shots of these tiny stunners are in our photo essay of hummingbirds from Guatemala. 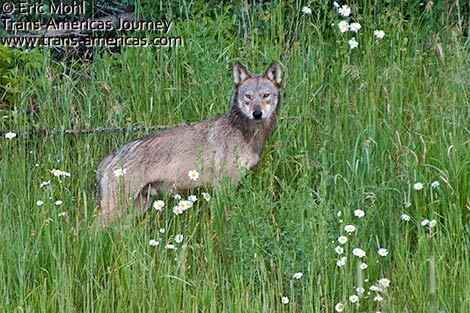 This young wolf seemed as curious about us as we were about it when our paths crossed on the Gunflint Trail in Minnesota. 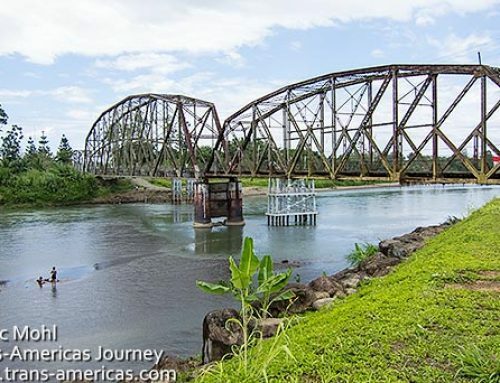 Read more in our Minnesota North Shore travel journals part 1 and part 2. We had a wild animal encounter of a totally different kind when we tried falconry in El Salvador. 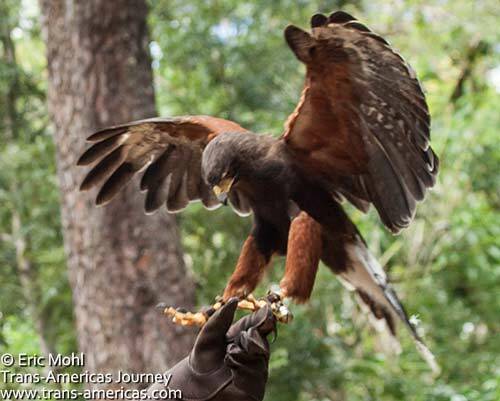 Find out why hiking with a bird of prey is way cooler than normal hiking in our post about falconry in El Salvador. 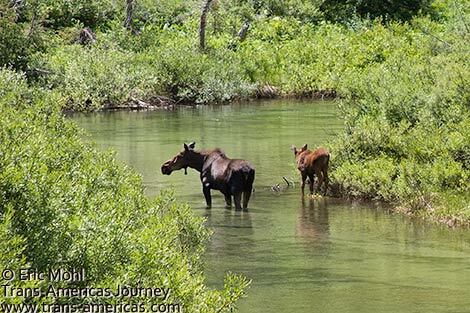 A moose and her calf appeared around a bend during a hike in Grand Teton National Park. See more in our Grand Teton National Park photo gallery. We spent nearly an hour watching this female grizzly and her cub feast on blueberries in Denali National Park. 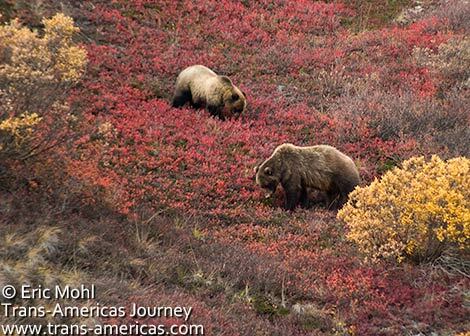 See more in our Denali National Park photo galleries – part 1, part 2, and part 3. 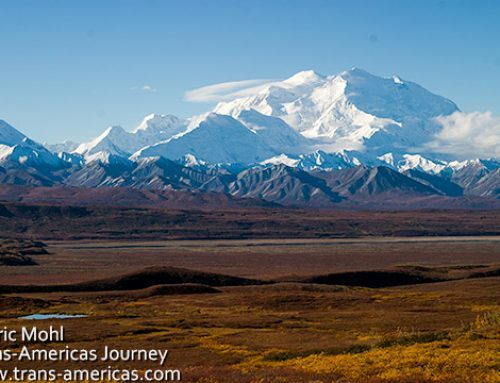 Read more in our Denali National Park travel journals part 1, part 2 and part 3. 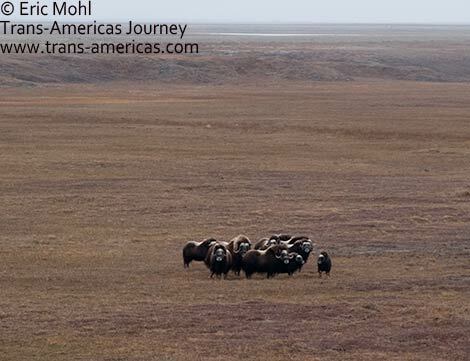 Muskox roamed the tundra on the North Slope in Alaska where we spotted them from a helicopter. See more in our Deadhorse, Alaska photo gallery. 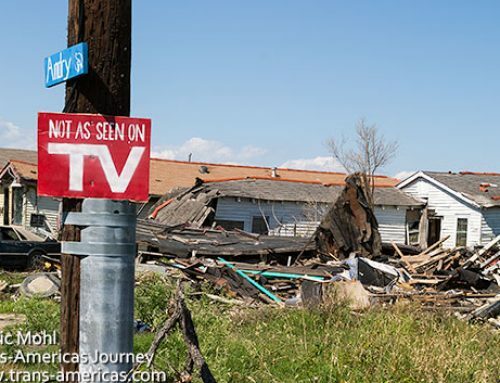 Read more in our Deadhorse, Alaska travel journal. 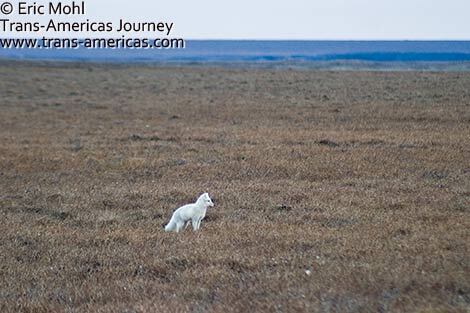 This arctic fox already had its winter white coat on so it was easy to spot in the tundra of Alaska’s North Slope. See more in our Dalton Highway photo gallery. Read more in our Dalton Highway travel journals part 1 and part 2. 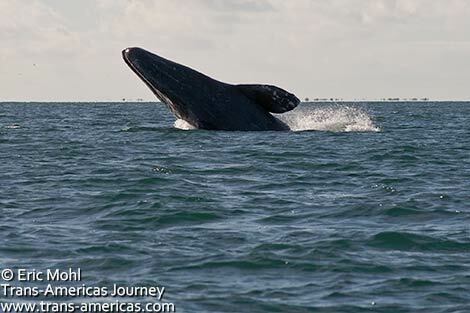 Gray whales put on an impressive show for us in Baja. 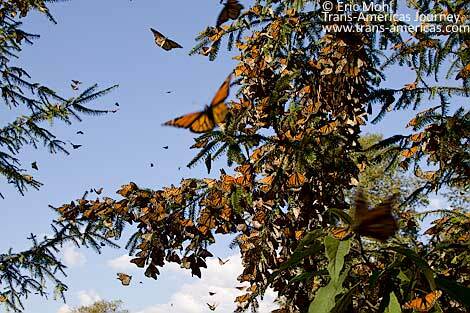 We wandered among millions of migrating monarch butterflies near Valle de Bravo in Mexico. See more from this epic annual migration in our monarch butterfly migration post. Crocodiles of all sizes lazed near our boat as we traveled to La Tovara Springs in San Blas, Nayarit, Mexico. 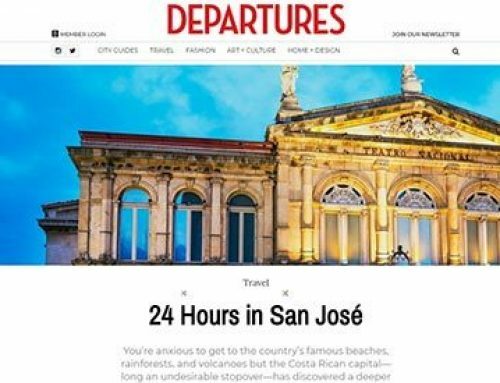 See more in our San Blas, Mexico post. Thousands of flamingos went about their strange pink business as we floated through the Rio Lagartos Biosphere Reserve in Mexico’s Yucatan State. 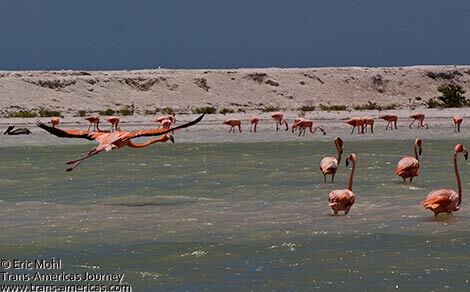 There are plenty more flamingo antics in our Rio Lagartos post. 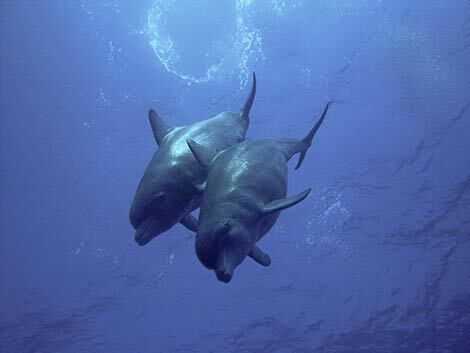 We failed to find the whale sharks we were looking for during some SCUBA diving trips in Belize but a pod of bottlenose dolphins found us. 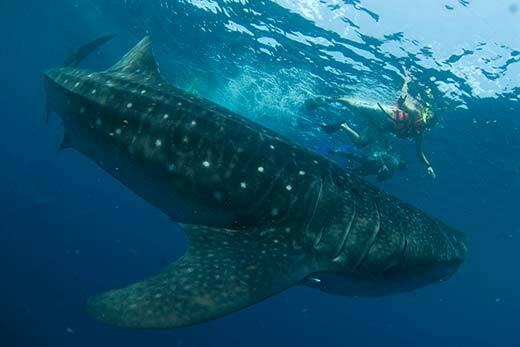 Learn more about our search for whale sharks in our post from Hopkins, Belize. 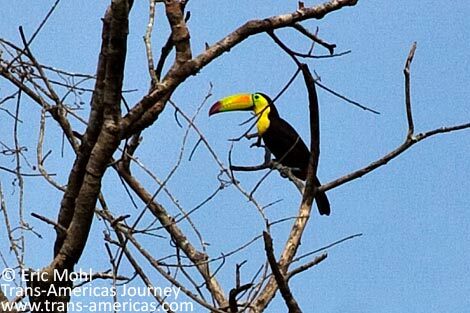 A keel-billed toucan stayed put long enough for us to capture its impossibly long beak at La Milpa Field Station in Belize. 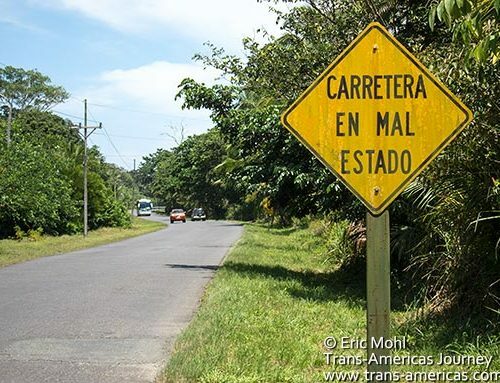 More toucans (and pygmy owls and laughing falcons and many other species) can be seen in our post about Milpa Field Station in Belize. Full disclosure: Tikatoo is not a wild jaguar but she is the closest we’ve come so far to seeing this elusive big cat in the jungle. 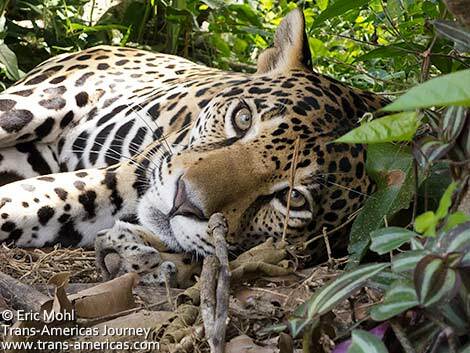 For more beauty shots of Tikatoo at her rescue home at Banana Bank Lodge check out our post from Belmopan, Belize. 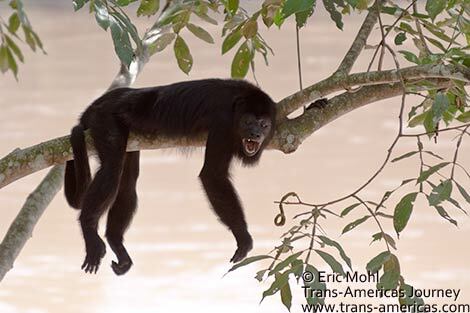 A clan of howler monkeys befriended us while we camped at Las Guacamayas in Chiapas, Mexico. 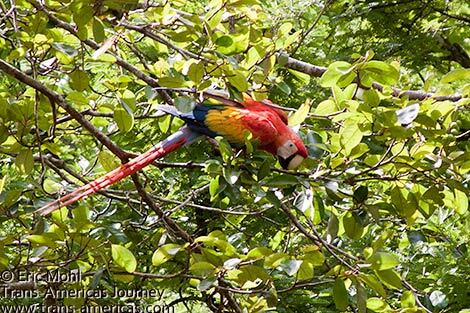 Learn how you can have your own howler encounter in our full Las Guacamayas post. Wild scarlet macaws gorged themselves in a tree above our tent at Las Guacamayas in Chiapas. Want your own face time with macaws? 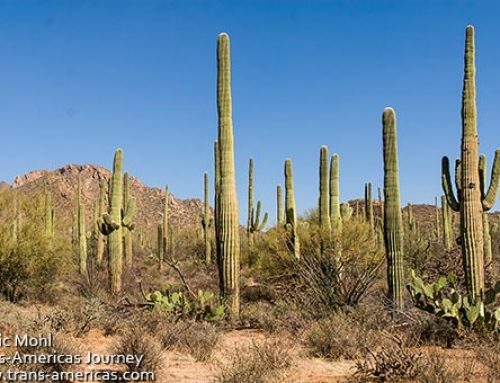 Check out our full Las Guacamayas post. Thank you for transporting me again. 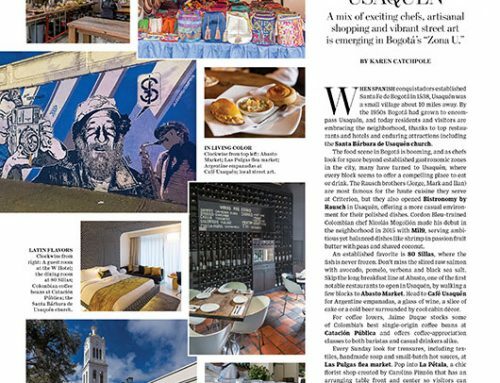 I loved today’s post …esp all the jungle animals! 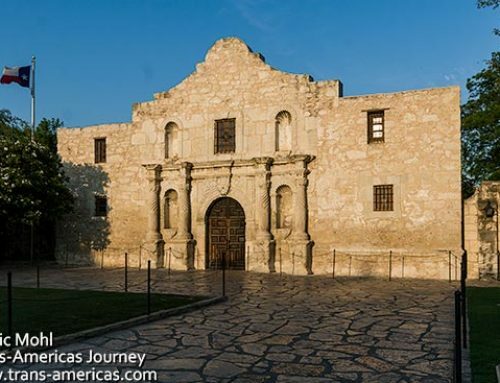 This is probably my favorite part of travel. All the wonderful wildlife we see. It’s always such a surprise. You just never know what will creep up around the corner. What a wonderful contribution to Earth Day! Some of these photos are truly incredible. Thanks for a great blog and posts! 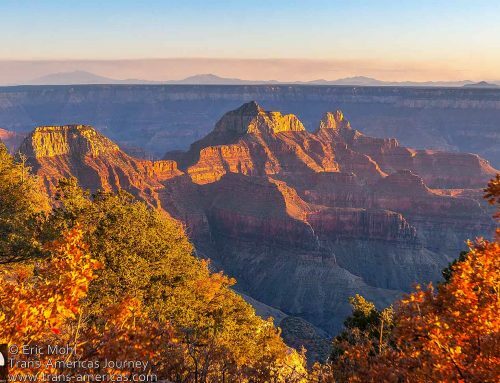 These photos are really amazing and inspirational: They reminds me of how beautiful our world is and how much I need to get out and explore its grounds. Thank you for taking me on this wonderful visual adventure. What a beautiful journey you guys have been having. To be able to see and discover our world like this is a blessing! Here’s wishing you guys more of such wonderful experiences.